Tamizh Padam 2 has entered into its 3rd day of release at the box office. The opening collection was a decent figure. It collected 63 lakhs in Chennai on Friday. There are two new films in its competition – Mohanlal’s Neerali and Karthi’s Kadaikutty Singam. The original film was released in 2010 directed by CS Amudhan. The rib-tickling parody film was appreciated and welcomed by the audiences. It became a surprise hit at that time and featured Shiva and Disha Pandey in lead. The flick made fun of several popular films and stars. Just like the original movie, the sequel is also receiving appreciation from both the critics and the audiences. After 8 years, the sequel hit the theatres and created a buzz among the fans and in the industry. TP2 also makes fun of several big films. Making fun has helped the film to gain traction/attention. It witnessed a good start at the box office. Tamizh Padam2 was able to collect 63 lakhs from Chennai on day 1. This is a good start considering the fact that it doesn’t feature any big stars and is also made on a relatively low budget. Check: soorma 2nd day collection. Kadaikutty Singam, the new film of Karthi won’t be making difference to the collection of Tamizh Padam 2. Karthi’s new movie got positive reviews from the critics. But, it won’t be creating any problems for the ‘spoof fest.’ The overview is that – Kadaikutty Singam and TP2 are films for family audiences and youngsters respectively. 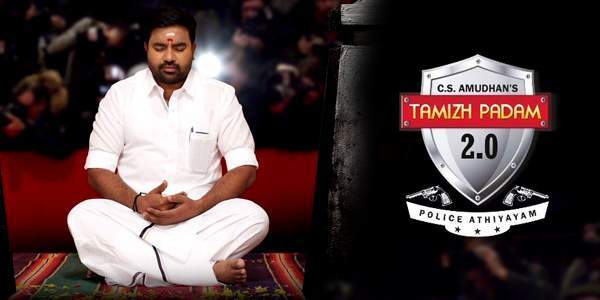 The word of mouth for TamizhPadam2 has been positive so far. It’s a fun-filled movie featuring enjoyable laugh gags. As per several reviews, Shiva and Disha have done a relatively better job. The positive WoM will surely help in increasing the business of TP2 over the weekend. The low budget didn’t create any problem. Despite the moderate budget, it managed to open with a good box office response. It’s clear that the common audience is enjoying while watching it. If its business remains steady even after the weekend, it would be a bigger hit than its prequel. Keeping in mind that it has got positive reviews, it should become a bigger hit than the first part. It is likely to get a blockbuster status soon.